What’s the best cure for Monday blues? A fantastic happy hour deal. Tuck into the wings and fries deal over at newly opened Fini’s, HK$68 Japanese-themed cocktails at Nobu’s “Tanoshi” happy hour, plus steak and cheese to your heart’s content at Porterhouse. Here’s a look at this week’s new eats. Think you know your beef? LKF’s steak temple Porterhouse has just unveiled a new experiential Chef’s Blind Tasting Menu, where guests can put their steak knowledge to the test through a blind tasting of three premium steaks. 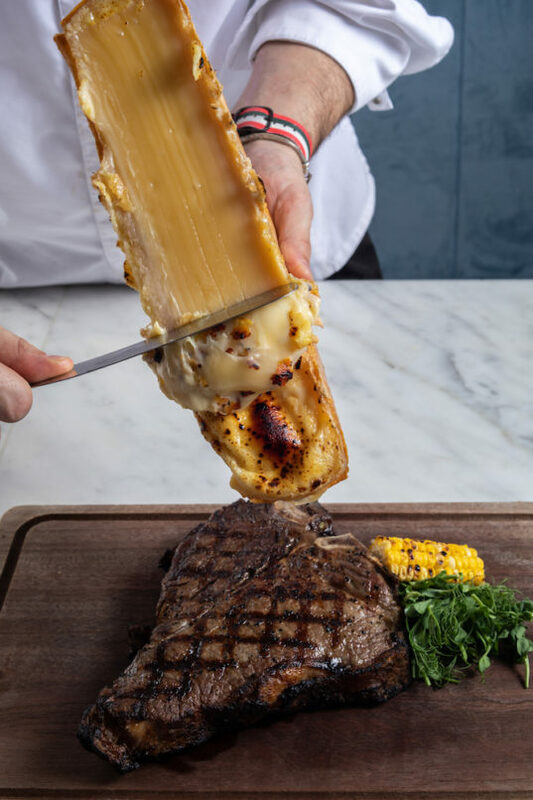 Priced at HK$758 per person, the sampler menu comprises a trio of cuts of varying textures and flavours, with guests charged with recording their guesses on a tasting sheet before the mystery steaks are revealed. Steak aficionados will have their work cut out for them, with the restaurant’s extensive offering of steaks carefully sourced from around the world — including no less than eight varieties of its eponymous cut on offer. All served up on the wood-burning grill, premium steaks range from the Australian ‘Mayura Station’ steak (HK$1,688), aged 30–36 months; to 100% full-blooded Wagyu cattle fed on grass and chocolate; and a new Italian-Scottish ‘High Quality Food’ (HK$1,688), a cross-breed between the Maremmana cow from Tuscany and Aberdeen Angus from Scotland, 40-days dry-aged and high in Omega-3 acids. To pair, new à la carte dishes include the Impossible Wellington created with the increasingly ubiquitous plant-based meat, veal ossobuco pappardelle, and Piedmont-style ravioli with fondue and ruffle filling. Meanwhile, cheese lovers can enjoy a new selection of Alsace artisanal cheeses from one of the world’s finest cheesemongers, Bernard & Jean-Francois Antony. There’s a new face in the kitchen over at the Nobu InterContinental Hong Kong, as native New Zealander Rhys Cattermoul joins the team in the Executive Chef role, straight from an 8-year stint at Nobu Berkeley Street in London. He’s wasted no time in reinvigorating the menu at the Hong Kong outlet of the iconic restaurant, launching a new “Shunshoku” 3-course lunch menu (HK$368 per person, inclusive of a choice of starter, main course and dessert); as well as a new “Tanoshi” happy hour and a handful of new à la carte dishes in conjunction with Executive Sushi Chef Kazunari Araki. Cattermoul’s philosophy is to “let the ingredients speak for themselves”, and this simplicity plays well into the culinary mandate of Nobu, with new lunch creations relying on top quality Japanese produce anointed with Nobu’s Peruvian influences, from kohlrabi salad with dried miso, to Chilean seabass with shiso salsa, oven-roasted cabbage with truffle, and U.S. Prime beef drizzled in Anticucho sauce. 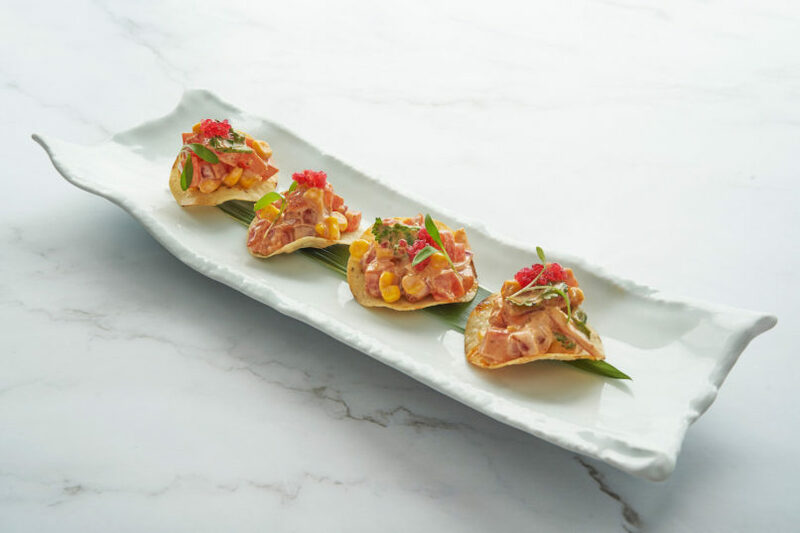 From the à la carte menu, innovative new-age Japanese creations by Cattermoul and Araki include spicy tuna tostadas with gochujang and lime and baby red snapper kara-age with dashi amazu ponzu. Pair the bold-flavoured fare with a crafty cocktail at the new “Tanoshi” happy hour (6–8pm daily at the Nobu Bar and Lounge), where select concoctions such as the Mojake — a bubbly blend of 68 Junmai Sake, soda water, shiso leaf, lime and yuzu — are priced at just HK$68. 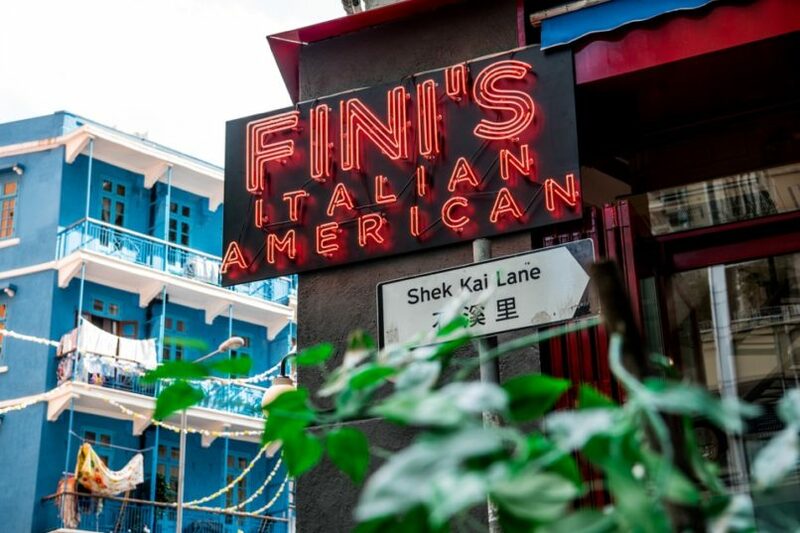 Recently rebranded from Linguini Fini, Red Sauce Hospitality’s new concept, Fini’s, has just launched in both Central and Wan Chai. The first order of business? Kicking things off with a banging happy hour deal and irresistible drinks deals. While they haven’t brought back Stone Nullah Tavern’s legendary HK$1 happy hour, the Italian-American restaurant — which took over the Wan Chai space earlier this year — is offering an attractive deal of finger-licking wings and French fries for just HK$108, available from 5–7pm on weekdays. Happy hour patrons can also pick up a crisp Sauvignon Blanc or a tart Chianti (HK$128 for half-litre carafes, HK$228 for one litre) to pair with Fini’s New York-style pizzas, which come out hot and bubbling with cheese from the custom-made copper-dome pizza oven. A family-friendly destination, Fini’s is also promoting its kids’ happy hour deal (4–7pm), where juniors eat for free with any à la carte purchase by a parent.